The imminent arrival of commercial single-engined turboprops for public charter IFR may be more of an 'evolution' than a 'revolution', but the 150-strong delegates attending the SETops2016 Conference and Fly- in this week at CAE Oxford Academy, London Oxford Airport, came away thinking there were some firm opportunities once EASA relaxes the ruling.
" 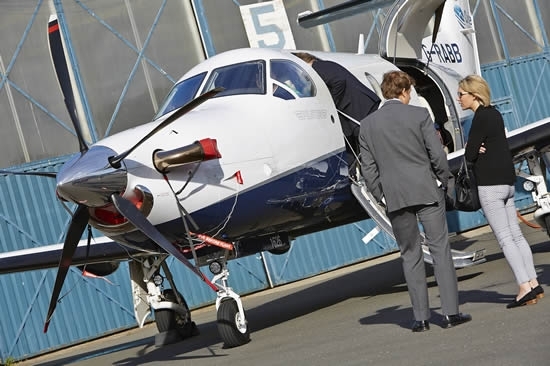 It's only taken 10 years," said Conference Chairman James Dillon-Godfray in his opening remarks, " but now there are a cluster of advanced new-generation models from Daher [TBM], Pilatus [ PC-12] and Textron [the new Denali] joining the venerable Cessna Caravan, and set to play a wider role in business aviation when the new rule [expected by January 2017] is approved." 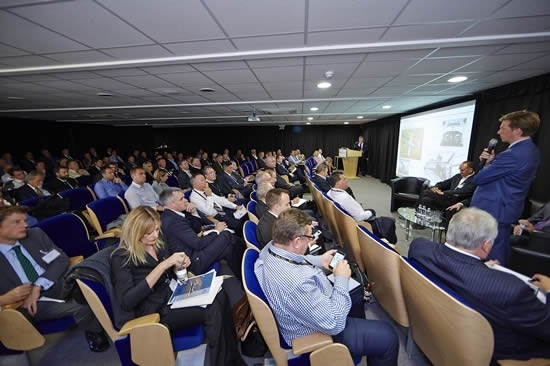 Highlights of the event, which was organised by Emerald Media & BlueSky News and supported by London Oxford Airport, included informative panel discussions and a static display featuring Pilatus, Daher, Beechcraft and Cessna aircraft. Entrepreneurial operators such as Voldirect from France, Hendell Aviation from Finland, JetFly from Luxembourg and Planesense from the USA, have already made such operations work using co-ownership/AOC models, but agreed that the UK model will not be without its challenges - particularly in the area of pilot training. They also cautioned that smaller airports, undoubtedly set to benefit from receiving these aircraft, may not be able to afford the necessary equipment to handle them. 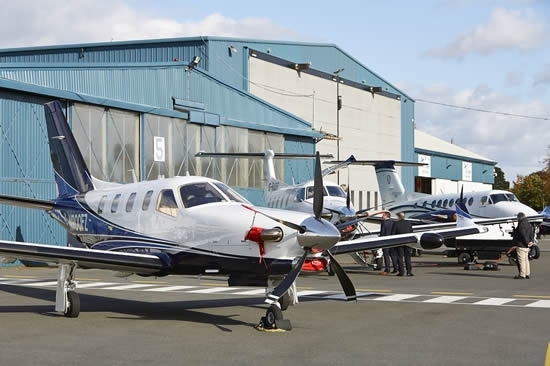 California's Surf Air, also attending, is expected to be the one of the first to bring Pilatus PC-12 services to the UK under the AOC of TAG Aviation, adapting its model from the US. Several speakers, including European Regions Airline Association Director General Simon NcNamara said the turboprop was back in vogue amongst ERA members, and for the first time 51% of their combined fleet is turboprop. Passengers will be more influenced by price, a brand new aircraft and a comfortable interior, rather than the single engine factor, delegates heard. SETops IMC will give customers more choice in business aviation. It will open a raft of smaller airfields and serve as an incubator for future aircraft ownership. Banks are more likely to finance these aircraft if they are under the AOC of an established operator and their multi-role use and high utilisation should make them an interesting proposition as a fleet addition.